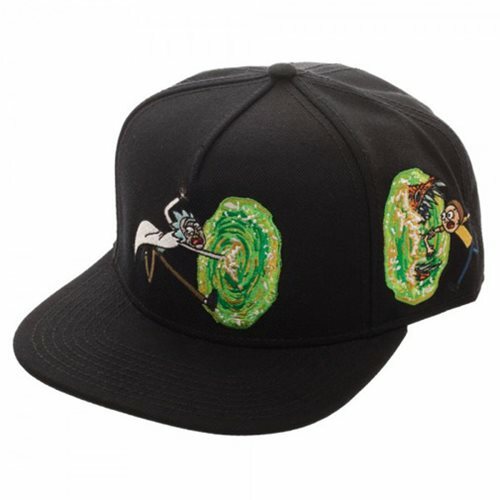 Cynical mad scientist Rick Sanchez and his fretful grandson Morty Smith both appear in the artwork on this almost unbelievable Rick and Morty Portal Black Snapback Hat. It's interdimensional! Ages 14 and up.